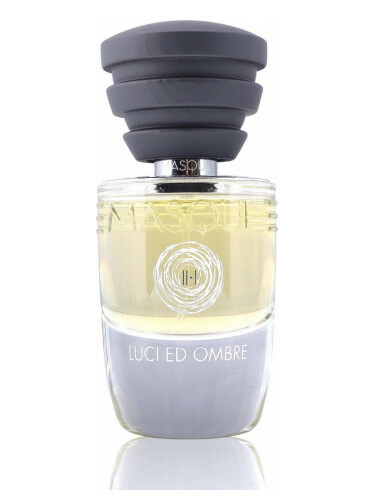 Masque Milano Luci Ed Ombre is an unusual fragrance. The individual elements/notes of the perfume feel familiar but they do not feel familiar together. With a name like “Luci Ed Ombre”, I expect for this to be a fragrance about contrasts. And it is. Luci Ed Ombre opens as pencil erasers and galangal (like ginger, pine and green curry leaves). The opening is dry, herbal and bitter. It reminds me of dried sage and oregano. Oddly, I pick up on something waxy, like beeswax or pomade for old-fashioned/rockabilly pompadours. The florals in Luci Ed Ombre are minty, cool white florals. These florals aren’t lush. They’re almost industrial. They also add a soapiness to the dried herbs of this fragrance. The heart wears as an herbal white floral with a lot of celery seeds. It’s slightly incense-y but that’s not the focus of the perfume. I find the dry-down of Luci Ed Ombre unexpected. It’s a soft, powdery incense with a plush, velvety texture. It’s like vanilla talcum powder, moss and dried jasmine petals. Even though it’s jasmine and sweetness, it manages to remind me of grooming products and barbershops. Luci Ed Ombre has extremes of coolness/warmness throughout its wear. The first few times I wore Luci Ed Ombre, I thought of it as white floral for those that would never wear white florals (i.e. guys that only wears perfumes stamped with “homme”). Luci Ed Ombre is like an herbaceous white floral that dries down to some sort of barbershop-ish powder. It smells like salves and pomades and all the stuff that guys that do a lot of stuff to their hair use. Because of this, it kept reminding me of rockabilly and honky-tonks. Something about the herbs and bitterness also reminds me of Caron Yatagan, which trust me, is very popular with men of a certain age that frequent Nashville honky-tonks. Anyway, a quick search on fragrance databases informed me that guys think this smells really feminine and like something from the 80’s. My conclusion is that it must resemble some grand ‘ole Italian-style perfume from the 80’s marketed to women that I’m unfamiliar with. Back then, women’s fragrances smelled more masc than “homme” perfumes today. Give Luci Ed Ombre a try if you like herbal florals. Or perfumes like Etat Libre d’Orange Vierges et Toreros, The Different Company Adjatay, Pierre Guillaume Arabian Horse and/or Liquides Imaginaires Belle Bete. The 3.4 oz retails for $185 at Indigo Perfumery. Samples are also available for purchase. Victoria’s Final EauPINION – Herbal white floral. It’s not one for me but I appreciate it. It’s a white floral with bitterness that eventually dries down to something soft. *Disclaimer – Sample provided by the brand. I am not financially compensated for my review. My opinions are my own. Product pic from Fragrantica. 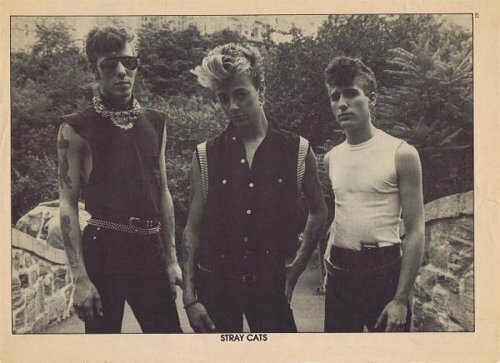 Stray Cats from eil.com.